Castilñano Simoons is an award-winning designer with 12+ years experience from Making Waves, Bleed and Scandinavian Design Group. Also Founding Partner of Bad Norwegian grooming company and Oslo Brewing Company. Speaks Norwegian and English fluently. Interaction & Service design for Norway´s official traveling theater. 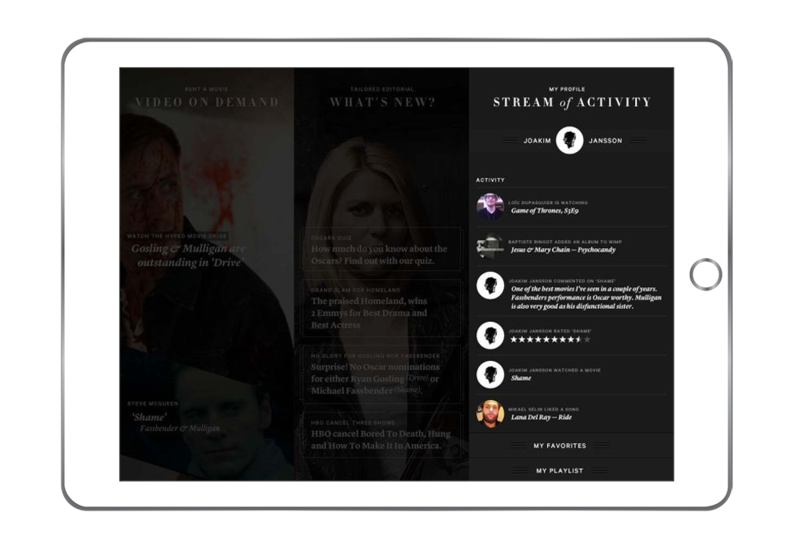 A total redesign of the whole service, from poster information, to web interface and content, to the actual pre and post experience of the performance. 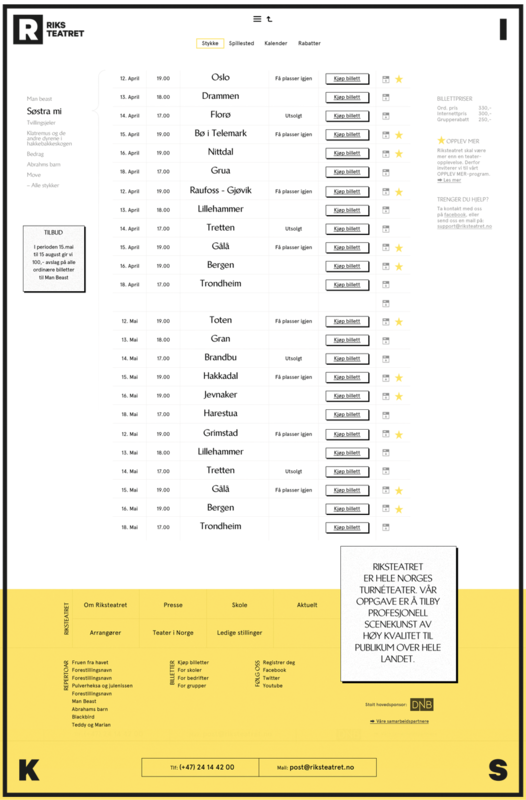 Riksteatret is covering over 70 theathers all over Norway, with more than 6 plays running simultaneously over 6 months. The challenge was to present a clear overview concerning where and when, and at the same time redefine the user´s experience of the brand and what Riksteatret delivers. 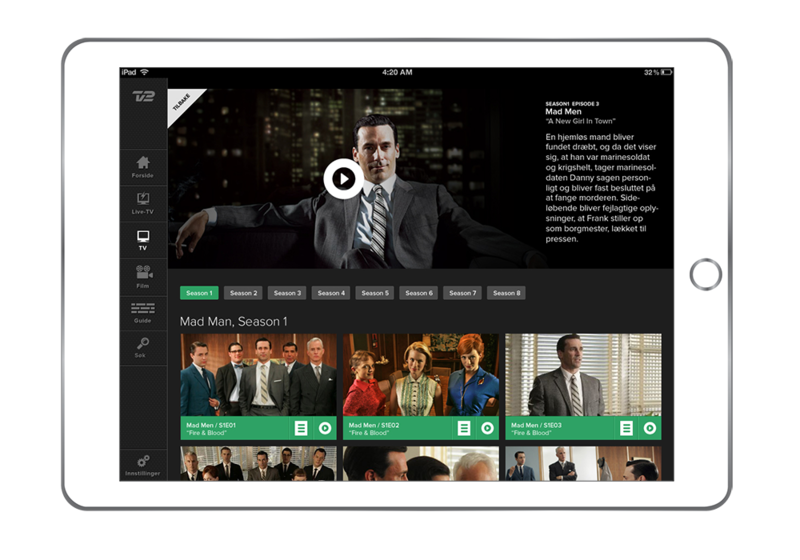 Overall Interaction design for Aspiro streaming and video ´On Demand´ service. Made for the Mobile World Congress in Barcelona. 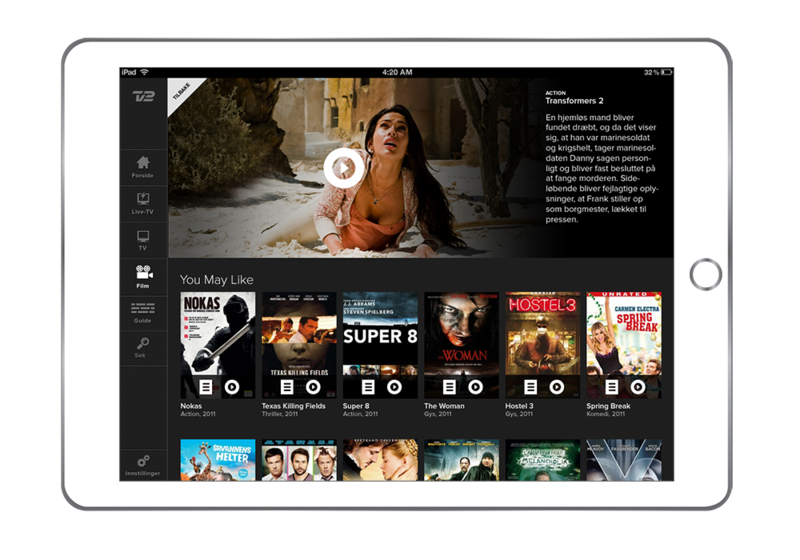 The task was to present Aspiro´s potential as an international provider of video services on multiple screens. 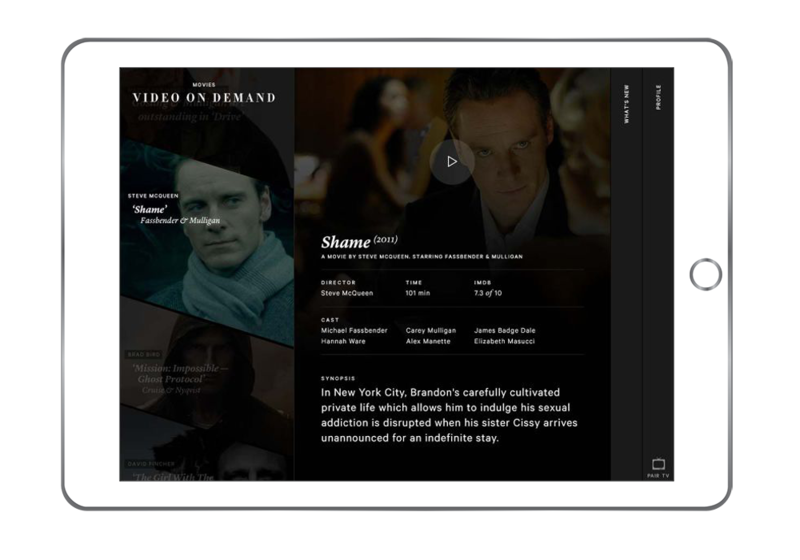 The brief was to present a fluent experience with focus on a user friendly layout. 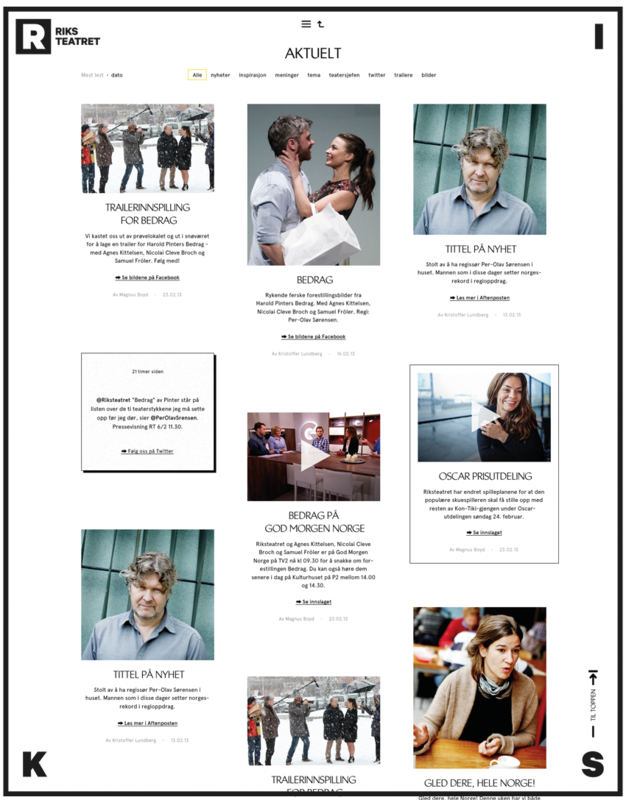 Teknisk Ukeblad (TU.no) is Norway's most important news platform regarding the field of engineering. Because most of their readers are within the engineering community, TU wanted to provide a better tool for finding new jobs, both national and international. There is one leading digital job search engine provider in the Norway, with over 90% market share. So TU.no needed to do something to differentiate their product. Our focus was to present TU.no as a news provider with wide knowledge of the engineering field, as we consider this to be their main differentiating factor. 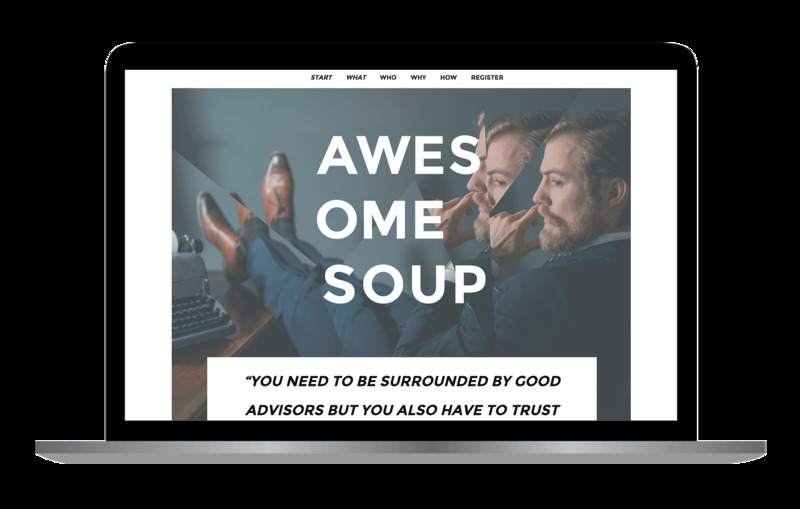 Started up AWESOME SOUP, an Oslo-based start-up program to target young people with a good idea, but without the know-how or network. Interaction, graphical design & strategy. With so many start-up incubators in Oslo, we wanted the design to stand out from the rest. It should look more like something coming from the fashion industry, without the standard business focus and smiling stock photo image business group. 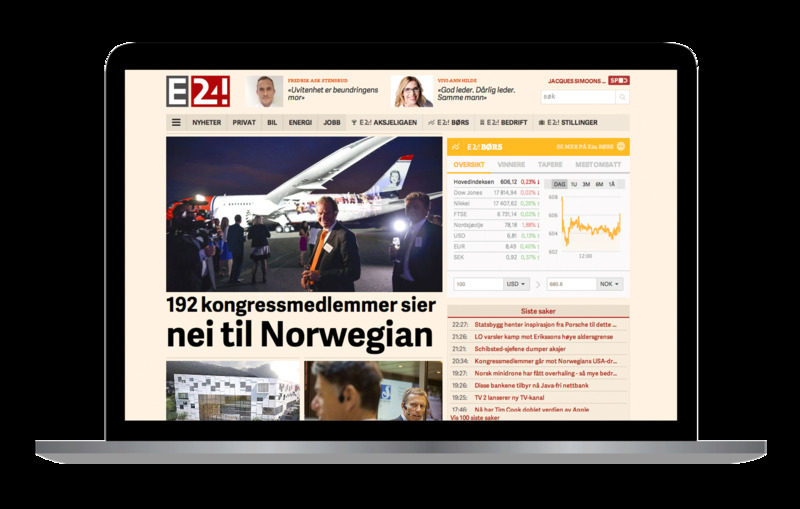 Did the overall Interaction design for E24, Norway´s biggest finance and business news web page. 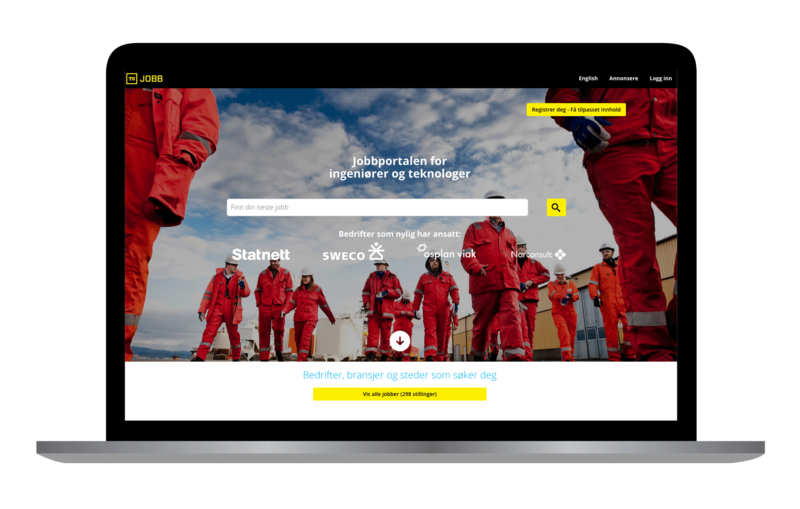 E24 has grown to become the most important business news provider on web in Norway, and wanted an update the style and get UX on all devices in order to provide it´s users with new functions. 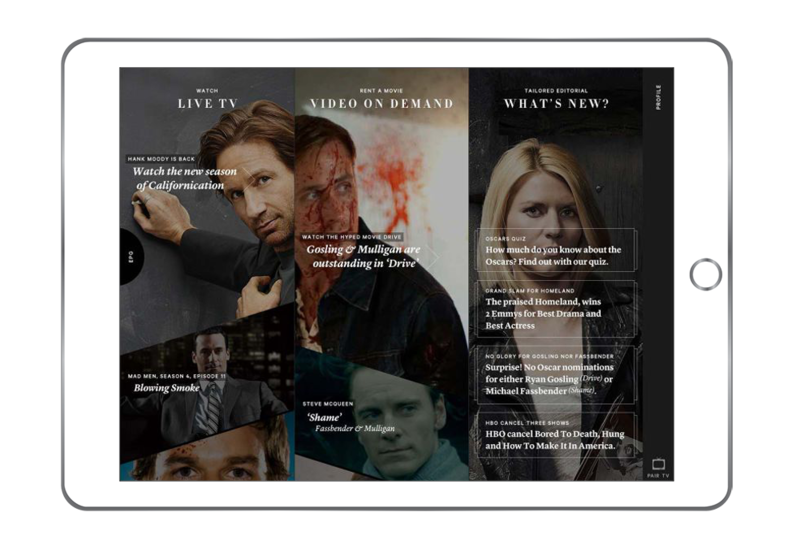 Interaction design for the TV2 Denmark´s video ´On Demand´ app. 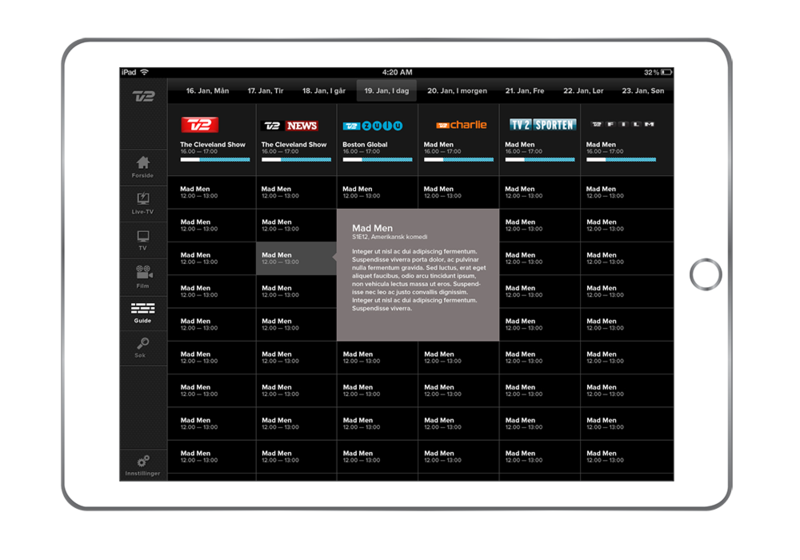 TV2 is one of the biggest TV channels in Denmark and wanted to present subscribers with content on multiply devices. 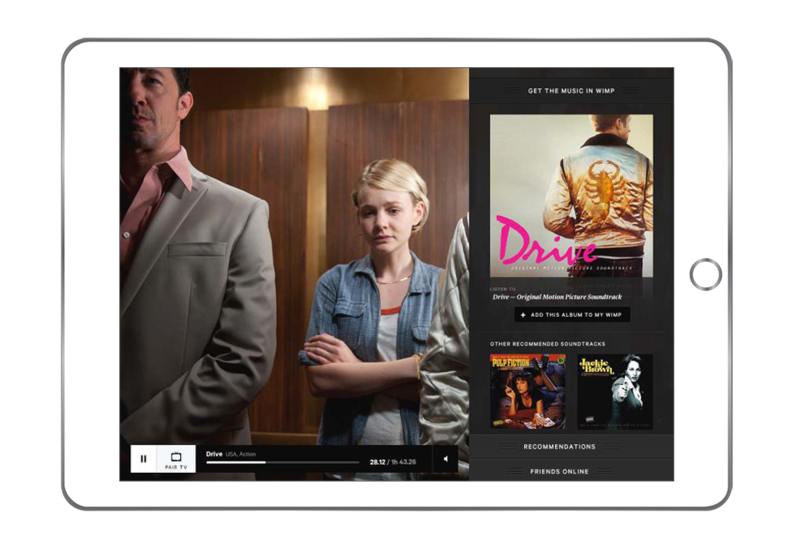 Show the entire collections of movies, TV series and Live TV content in the same frame structure and with an indulging interface. Interaction design and strategy for the IARK web page. 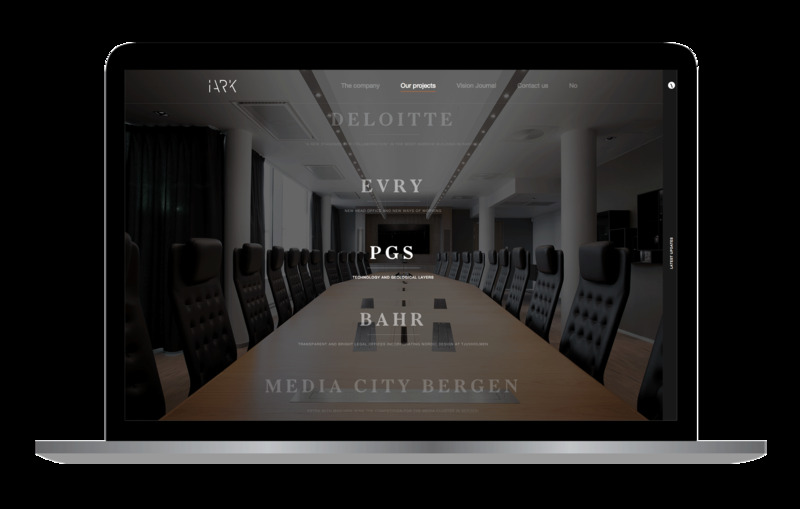 IARK is Norway's leading experts on development of workplace interiors, with major clients like DNB, Yara, Deloitte & Carnegie. IARK wanted to present themself as a different interior architect company, with a core focus on the process and team behind the project.